Nawabzaade Trailer Will Leave You In Splits With Its Quirkiness! Nawabzaade Trailer: After the stupendous response to the recreated version of Guru Randhawa’s High Rated Gabru, picturised on Varun Dhawan and Shraddha Kapoor in Nawabzaade, expectations have naturally risen for the unveiling of the trailer of Nawabzaade. 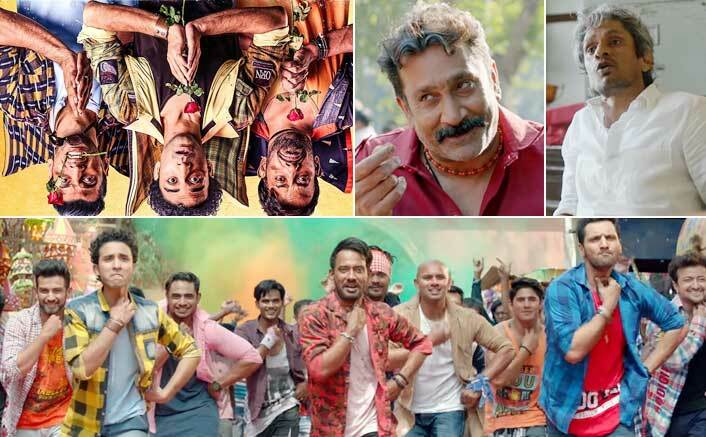 From the trailer, it is evident that Nawabzaade is a vibrant, romantic comedy about three male friends who try to woo the same girl, often giving rise to hilarious situations. The film directed by Jayesh Pradhan is produced by Lizelle D’souza and Mayur K Barot. It stars actors from ABCD 2— Dharmesh Yelande, Raghav Juyal and Punit J Pathak. Debutante Isha Rikhi plays the female lead in the film. Senior actors Vijay Raaz and Mukesh Tiwari support the main cast in adding a mean twist to the plot. Actor Zakir Hussain would also be seen in an important role in the film. What also cannot be missed in the trailer is the rumbustious musical score as already witnessed through the High Rated Gabru song. A somewhat passing peek of Mummy Kasam also promises that this song too has got chartbuster written all over it.